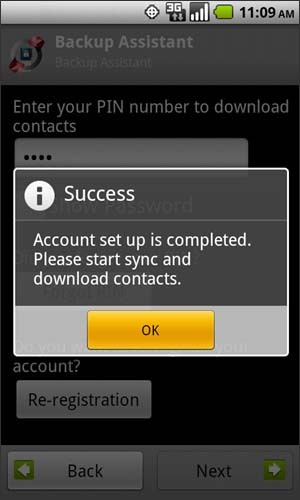 When restoring the address book, Backup Assistant compares and merges any contact information on the new device with the stored information on the Backup Assistant website. If there is conflict between the new device and the website, the device data is assumed to be more current and overrides the data on the website. 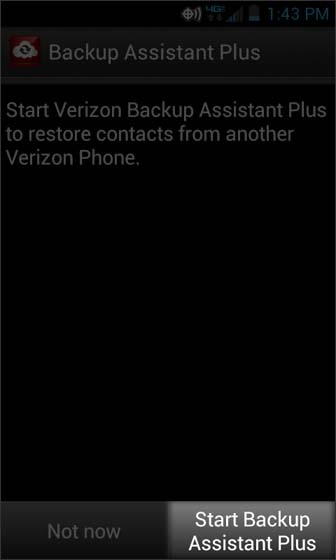 Select Start Backup Assistant Plus. 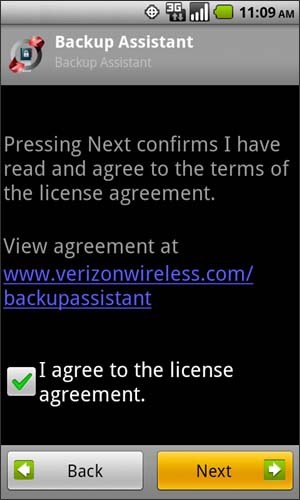 To continue, review the license agreement and select I agree to the license agreement then select Next. Enter the appropriate PIN then select Next. 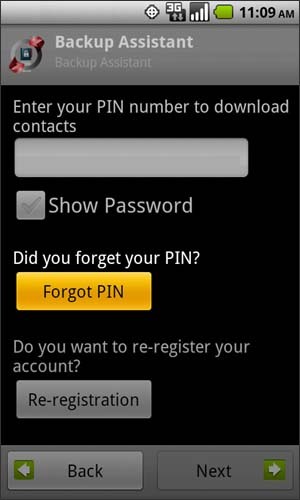 If the PIN is incorrectly entered 3 times, the account is locked for 15 minutes. 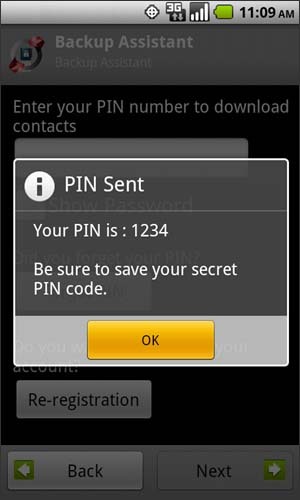 If the PIN is unknown, select Forgot PIN. 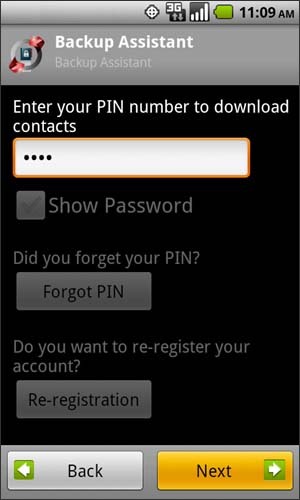 View and notate the current PIN then select OK.